The LeanIX Technopedia integration automatically links the largest and most comprehensive repository of market data on Enterprise Software and Hardware with the LeanIX Inventory. Drive effective technology-driven decision making and reduce the manual effort of updating product & lifecycle data to zero. 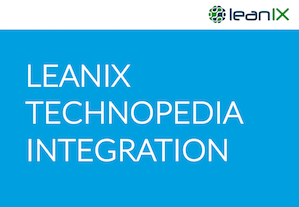 This presentation shows you how to setup and use the Technopedia Integration with LeanIX.